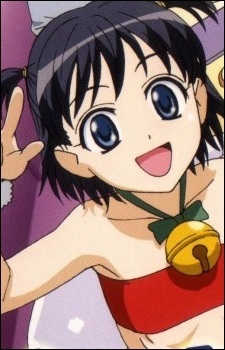 A close friend of Himeji's, which makes her a member of the group by default. She is the cute, petite girl of the group who acts as young as she looks. Ogawa usually comes up with the stupidest, almost Mr. Bean-ish solutions (giving Eriko a "mini sleeping pill" to help her relax because she had been up all night watching Doraemon videos) and games (spilling floor wax and using the cloth to slide on).